Top speakers from EBU-EUROVISION, Sky, TV Globo, Travel XP, Stingray and delegates of leader companies such as Dolby, SES Astra, Eutelsat, Grass Valley, Sony, Nokia, Samsung, Fujifilm, Ericsson, Panasonic, Rohde &Schwarz, Ateme, Akamai, have confirm their participation in the 4K Summit’16 that takes places on November 10 and 11 in Sevilla. On the Spanish side, Movistar, RTVE, Hispasat, Cellnex, Canal Sur, SGO, Huri 4K and Ovide, will share their experiences in this international forum that celebrates its second edition. Among companies, speakers and attendees there will be represented up to 19 countries: USA, Canada, Brazil, Colombia, India, Japan, Korea, Belgium, Luxembourg, Croatia, Finland, Sweden, Portugal, Switzerland, Netherlands, Italy, Spain, France and Spain. 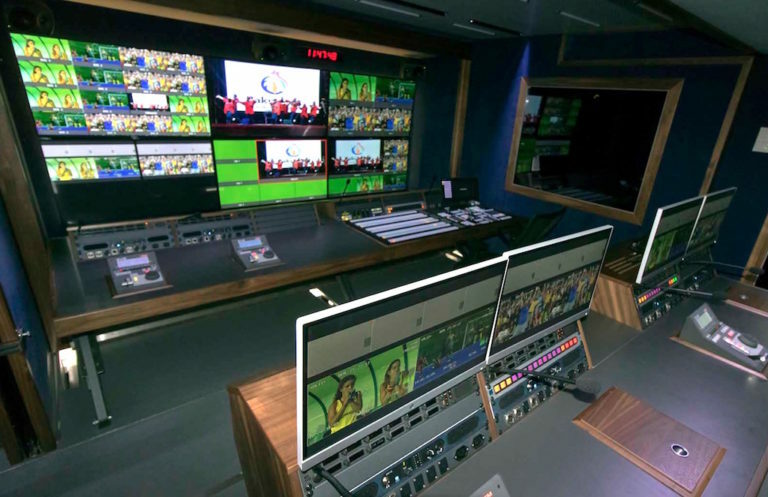 Croatel will present in the Outdoor Demo Area its brand new OB truck UHD 5 for sports broadcasts. In addition, Hispasat and Hurí 4K, in collaboration with Ovide, Ontario Media Solutions and Medina 4K, will transmit live in 4K the sessions of the 4K Summit’16. Beyond conferences, roundtables to discuss “hot topics” of the industry Ultra High Definition, demos and workshops will be held with the latest UHD equipment of the leader companies. Dolby, Sony, SGO and Canon have chosen to show their equipment UHD HDR, doing demonstrations of its innovative tools and real comparisons of different standards. Meanwhile, Panasonic will display 4K & 360º solutions, and Fujifilm will give masterclasses regarding Zoom and Prime to work in 4K. RTVA is also committed to 4K and will carry out, together with Axión, a 4K content transmission in DVB-T2 through an HbbTV application, in collaboration with the ETSI of Seville. Meanwhile, Rohde & Schwarz and Cellnex will carry out the first three public simultaneous 4K transmissions in a single multiplex DVB-T2 during the 4K Summit’16. All sessions OF THE 4KS16 can be followed via streaming through the website 4ksummit.com and through social networks with the hashtag #4ksummit.